Service Innovative Photography for Business: Commercial Corporate PR Editorial Architecture Industrial Portraits. 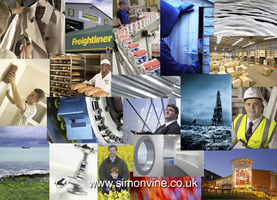 Simon Vine Photography creates photographs photography for; advertising, brochures, exhibitions, press releases and new media. Simon works for a variety of clients, including several blue-chip companies and government agencies.